A recovering addict battles literal and figurative demons while investigating her friend's disappearance. 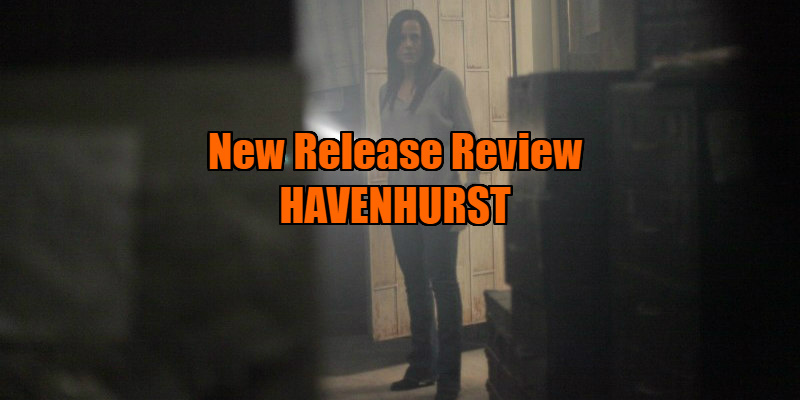 Jackie (Dexter's Julie Benz), fresh out of rehab, has a fresh start lined up in halfway house Havenhurst where her friend in sobriety, Danielle (Halloween 4’s Danielle Harris) had settled a few weeks prior and was awaiting her company. Upon admittance to the facility, via an oddly unsettling interview with Eleanor (scenery chewer Fionnula Flanagan of The Others), Jackie discovers that her friend had hastily left the night before her arrival under mysterious circumstances, and she herself is now staying in Danielle’s old room. Still adorned with her friend's abandoned possessions, the room houses Danielle’s photographs of the home and seemingly nonsensical notes that may just hold the key to what is happening at Havenhurst. Now with a new purpose, Jackie sets about discovering what happened to her friend while finally laying to rest her old demons and resisting the urge to return to her former destructive habits. Throw in a tragic backstory, an endangered and plucky teenager (Sarah, played by Belle Shouse) and the requisite almost-believing cop/friend (Tim, played by Josh Stamburg), and you have a rote, by the numbers thriller/horror, right? What makes this film unique is twofold – the set design, which will blow your mind, and the real-life serial killer tale that is the backbone of this story. Helped by a boost in visibility with the likes of American Horror Story: Hotel, there is still hubris in assuming awareness of this killer of a bygone era. There is an assumption of familiarity here that could prove troublesome for the filmmaker (writer/director Andrew C Erin). I like that boldness, the refusal to dwell in supposition, but it could prove to be a serious misstep in judgment if Erin’s faith in his audience’s knowledge is misplaced. On paper this sounds like a mystery movie, a thriller, and it’s sometimes a stretch to call it a horror, but with the gruesome deaths, creepy set pieces and featuring that cameo performance by horror alumnus Harris, it mostly toes over the line into horror territory. A strong opening, one or two successful jumps, a small dose of gore and some rather downbeat set-pieces all help to elevate this above the disbelief and occasional melodrama. There are a few script decisions that make little sense however. Where are all the other residents? We see barely anyone, and this is an opportunity ripe for a slew of intriguing characters. Why is Jackie the only one to hear those blood curdling screams coming from next door? Just because it’s the wee hours doesn’t mean everyone will just sleep through that. And why did Jackie make that odd decision midway through the film that she hoped would lead her to Danielle? It was unnecessary and out of character. The film risks losing the audience with this nonsensical act. The decision to set the film within the world of addiction and recovery is an interesting one, as it allows the film to speak on redemption and the possibility of moving on from an unwanted past while also allowing the villain/s of the piece to revel in the recreation of a history there is obvious pride in. I wish they had explored these themes in more depth. Benz does her best to bring a sense of weariness and complexity to her character, of someone burdened by bad and tragic choices, but it is unfortunately beyond her, and she really only succeeds while mining the more maternal side of Jackie when interacting with her young charge Sarah. Stamburg has charisma to spare but is in a thankless role as the policeman friend who dares to believe Jackie and explore her crazy theories. The rest of the cast is serviceable but nothing special. The real star of this film is that house. What a marvel of engineering and enterprise. The intricacy and care shown to this grand set design was eye opening and a joy to watch. To say too much would give away key plot points, but believe me, when all is said and done, that house is what you will remember. Some scares, some intrigue, some gore, and THAT house. There are certainly worse ways to spend your Friday night. 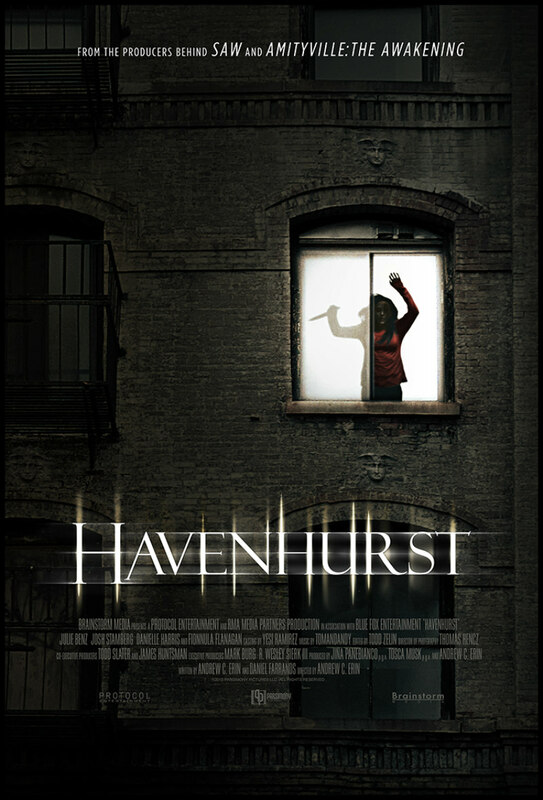 Havenhurst is available on VOD February 10th.